Get your Body and your Body Confidence back -Without complicated meal plans or going to the gym! Award Winning Mums' Weight Loss Expert Polly Hale reveals how you too can Lose Weight, Tone Up and feel like your old self again - Even If You’ve got a little one in the house taking all your time and energy. 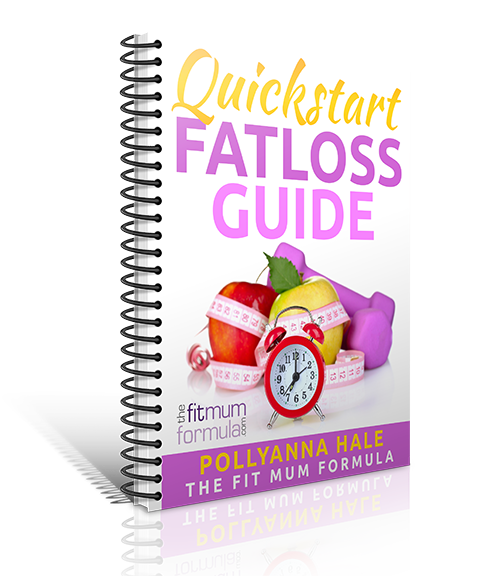 CLAIM YOUR FREE FATLOSS GUIDE NOW! If you’d love to have more energy and feel fantastic ALL day then this short & nifty guide is just for you. Written by a mum FOR mum’s who struggle to find time to exercise and have found weight loss difficult in the past. Let me show you a simple way to stay on track, make sure you never fall off the wagon again and fit easy exercise into your ‘already’ busy life. Get started now and download your free “QuickStart Weight Loss Guide” by simply clicking the big blue button below. The 3 top ways to get more energy AND the ONE that you should be using for feeling fantastic. The 15 fundamentals that will see your health and fitness stay on track regardless of how difficult you’ve found it in the past. Why going to the gym is a waste of time and which home exercises are way more effective for burning fat. p.s. you'll also receive recipes, workouts and other general news that I know will be super valuable, but you can unsubscribe at any time. If that's an issue just click back to return to the website.